The pre-defined grid systems helps to structure and create professional forms with rows and columns. Columns are the smallest unit of a form template and you can arrange them in different ways to customize your templates. There must, at least, be one single column (minumum) in a row. 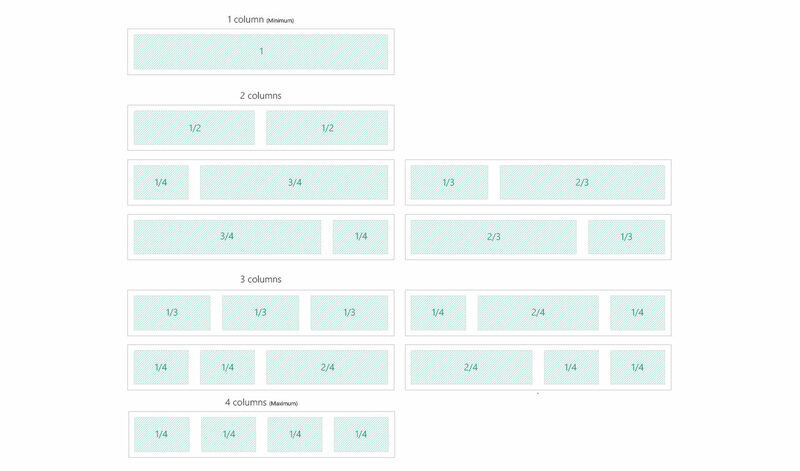 See in the screenshot below the different options to design templates with 2 column grids. Note: The definition of column arrangements in the HybridForms Designer and the code behind is different. The various ways to arrange 3 column grids are shown below.